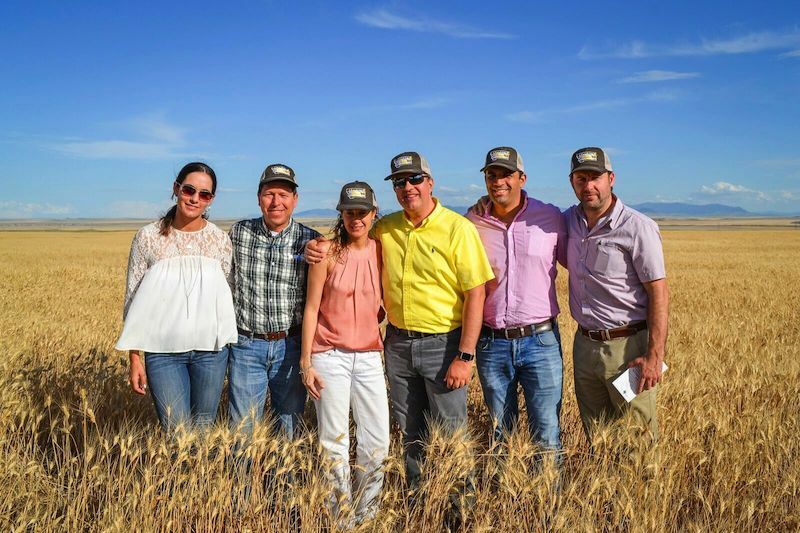 “Helping farms be sustainable and profitable is our mission,” says Collin Watters, Executive Vice President of the Montana Wheat and Barley Committee (MWBC). Since 1967, MWBC has pooled farmers’ resources together, finding innovative ways to improve the industry for all. Funding comes from wheat and barley sales; the committee takes just a few cents of each bushel. At the end of the year, farmers can ask to have that money refunded, but few do. In fact, the refund rate is well below two percent. MWBC is integral to Montana ag research. Plant breeding programs sponsored by the committee at MSU deliver new technology to farmers on a near-annual basis, but these technologies can take years, even decades to develop. Some projects are so long term and progress is so incremental that it’s hard to quantify the impact. Research on the management of wheat stem saw flies, for instance, has been funded by the committee for over thirty years. Annual losses attributed to these insects are estimated to be at least several hundred million dollars. Ongoing research is vital to future mitigation efforts. MWBC funding helps ensure that seed varieties made available to Montana farmers will have high yield, disease resistance, and tolerance to climatic conditions. Each variety’s milling and baking qualities are tested as well to ensure the end product is appealing to buyers. Like ag research, marketing requires a lot of forward thinking. Say a flour mill in Indonesia is looking to buy wheat. They have a multitude of options to choose from all over the world. Even if they narrow their search to the U.S., there are producers across several states to buy from. So how can Montanan farmers hope to earn their business? “What it often boils down to is relationships,” says Watters. As MWBC helps farmers improve their products, the committee also invests a significant amount of time building relationships with potential buyers. MWBC has forged a path forward in countries like Japan and Taiwan, where companies have come to rely not only on Montana’s quality grain, but its quality people as well. “The price of grain changes every year, but that relationship can last forever,” says Watters. Education Buyers aren’t the only ones that MWBC is forging relationships with; Connections with the public are important as well. Education programs sponsored by MWBC are designed to keep Montana citizens informed about what’s going on in the agriculture industry and how it impacts their lives in ways they might not realize. MWBC-sponsored education starts at a young age. Programs like Montana Agriculture in the Classroom provide schools and communities with opportunities to learn about agriculture in a fun and effective way. It’s important for people of all ages to think about the role agriculture plays in today’s world and how it shapes our future. By sparking an interest at a young age, MWBC can help children grow into more informed consumers who understand the importance of Montana’s number one industry. In November 2017, MBWC will have a booth at the Montana Grain Growers Association convention, highlighting many of the committee’s accomplishments over the past fifty years. The public is invited to come, ask questions, and celebrate the committee’s historic mark. “There are a lot of people who have invested their lives and livelihoods into this work,” says Watters. The Montana Wheat and Barley Committee is located at 1601 2nd Avenue North, Suite 700 in Great Falls. For more information, visit wbc.agr.mt.gov or call (406) 761-7732. The Montana Grain Growers Association 62nd Annual Convention & Trade Show will take place November 28-30, 2017 at the Best Western Plus Heritage Inn in Great Falls.